Film-Arcade.net: New Trailer and Poster for the Upcoming Action Film "Assassin's Creed"
New Trailer and Poster for the Upcoming Action Film "Assassin's Creed"
20th Century Fox recently released the new trailer and poster for their upcoming film "Assassin's Creed". The film stars Michael Fassbender, Marion Cotillard, Jeremy Irons, Brendan Gleeson and Michael K. Williams. 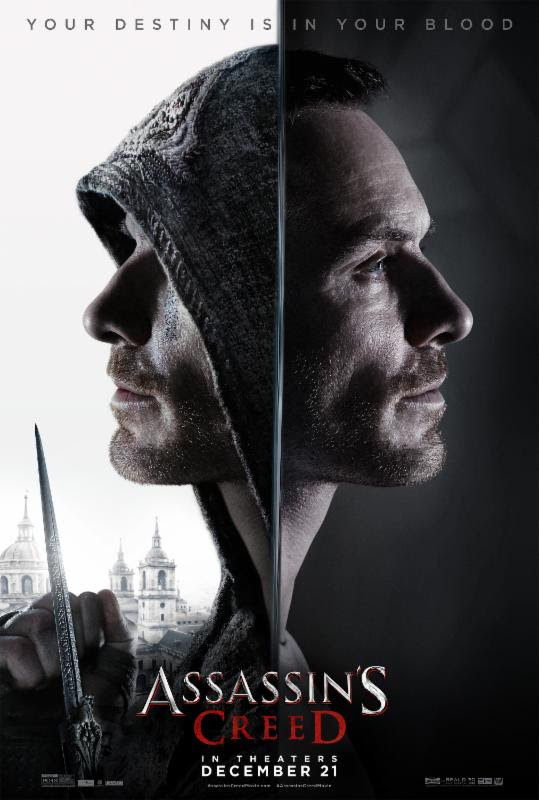 "Assassin's Creed" hits theaters on December 21st. ASSASSIN'S CREED stars Academy Award® nominee Michael Fassbender (X-Men: Days of Future Past, 12 Years a Slave) and Academy Award winner Marion Cotillard (The Dark Knight Rises, La Vie en Rose). The film is directed by Justin Kurzel (Snowtown, Macbeth); produced by New Regency, Ubisoft Motion Pictures, DMC Films and Kennedy/Marshall; co-financed by RatPac Entertainment and Alpha Pictures; and distributed by 20th Century Fox. ASSASSIN'S CREED opens in theaters worldwide on December 21st, 2016.